It’s the truth: doing the same old workout can get really boring. So if you’re looking for a challenging way to get fit or just want to have some fun, look no further than the sport of rock climbing. 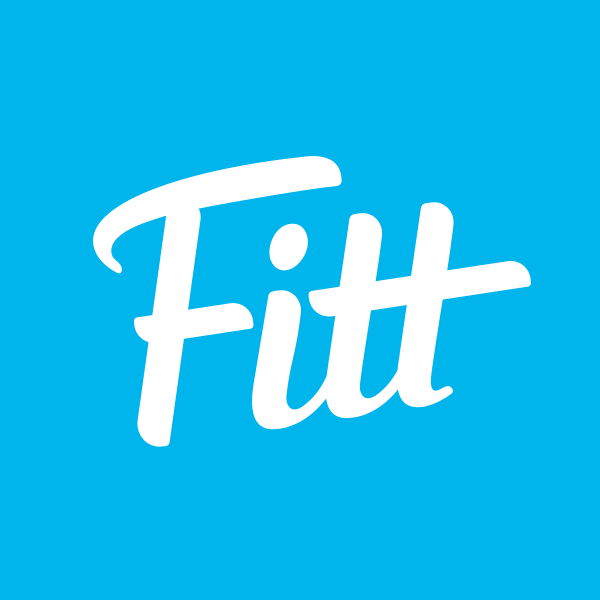 It’ll get you in shape both physically and mentally, and, dare we say… take you to new heights. 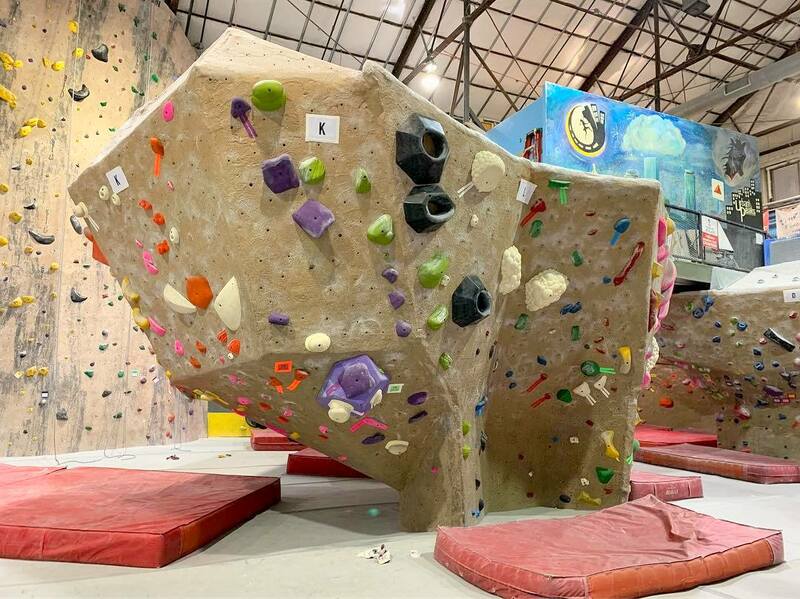 If you’re just starting out or the weather isn’t cooperating (not unusual here in Boston), there are some awesome local rock climbing gyms you’re going to want to try out. And when you’re ready to take it outside, check out the some of the most beautiful rock climbing spots near Boston. With a location in Cambridge and a few more outside of Boston, Central Rock Gym has a lock on the local climbing scene. This gym is unique among the other indoor climbing spots on the list in that it focuses exclusively on bouldering. Plus, it’s adults-only, so climbers 14 and up can test their skills on Central Rock Gym’s 225,000-plus square feet of climbing terrain with over 2000 boulder problems. This rock climbing gym isn’t quite as big as some of the others on the list, but its convenient location makes it worthy of a mention. You’ll find the Rock Spot Climbing in South Boston right near the Red Line, which makes getting there a cinch. Tackling the climbing routes won’t be as easy, though. 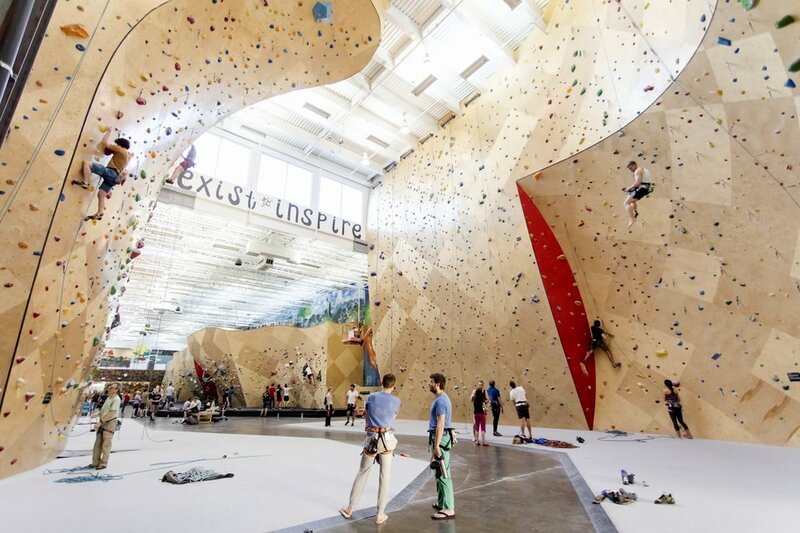 This gym is 11,000 square feet and resets its 150-plus problems (the routes that climbers look to conquer) every six weeks to keep the challenges fresh. 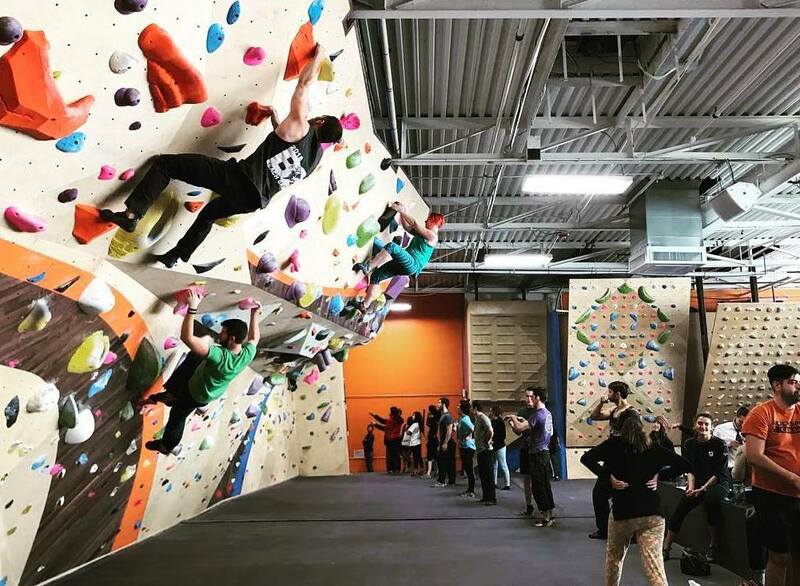 And if you’re looking for a place to climb even farther south of the city, check out the Rock Spot’s Boston-Dedham location. This 40,000-square-foot factory-turned-gym is the place to go indoor rock climbing in New England. Brooklyn Boulders took the local climbing scene by storm when it opened its Somerville outpost in 2013 and it has only gotten better in the years since. 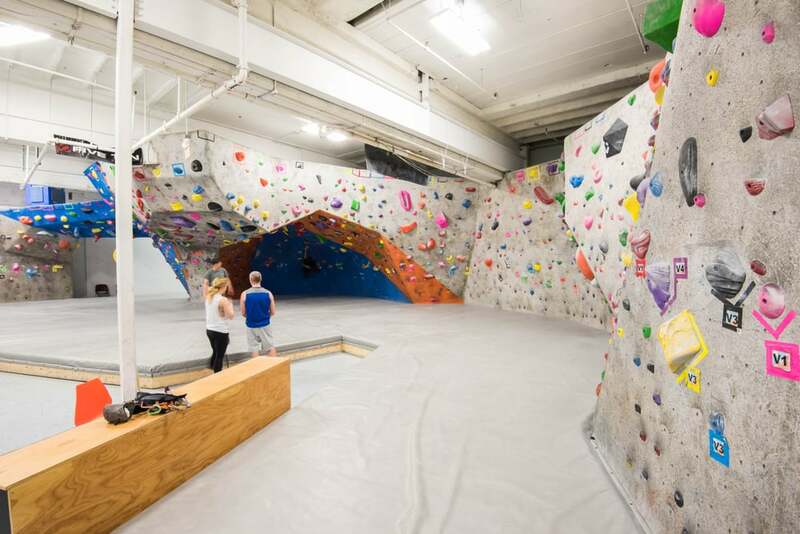 The massive facility features a huge bouldering wall, beginner’s auto-belay area, and a 50-foot climbing wall that affords views of Boston. When you’re done climbing, take advantage of Brooklyn Boulders’ CoWorking space, check out the local art on the walls, or take part in an awesome event, like the Savage Games. MetroRock Climbing Centre is actually in Everett but since that’s only a short drive out of the city, this gym is definitely worth a visit. 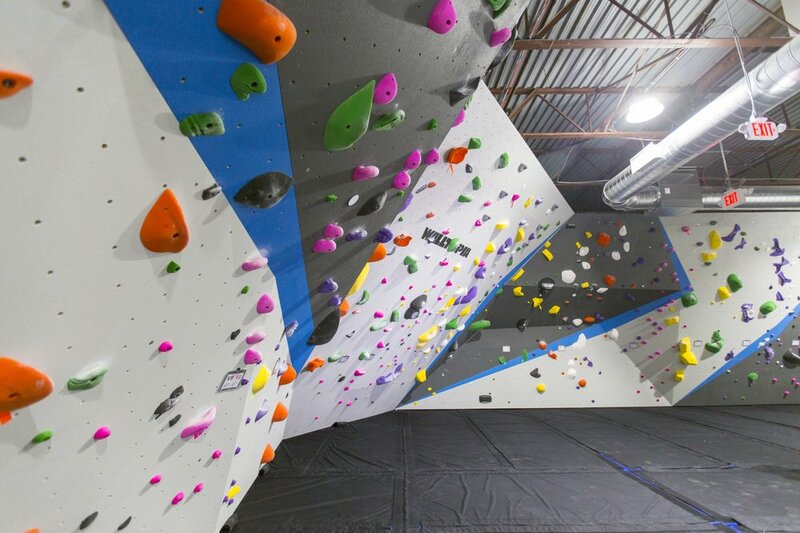 Climbing Magazine has previously named MetroRock Boston one of America’s Best Gyms, so you know this spot has been vetted by some of the best in the industry. And this place is just as passionate about climbing as it is about community, so you’ll find the gym is a hangout for locals who really love the sport.